Flight to Tana. Night on board. Upon arrival at the airport, meet and greet with your driver guide. Transfer to your hotel. Get settled. 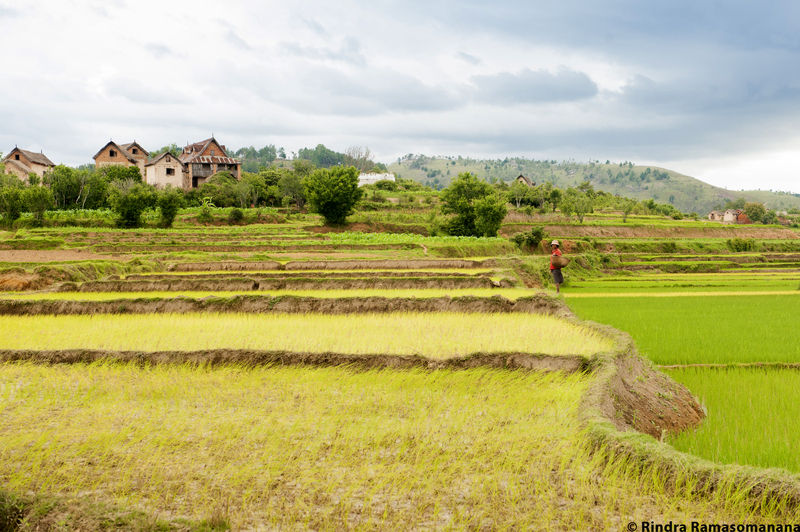 You will be heading South by car and discover the rural Malagasy highland, the architecture of traditional houses, the rice fields and farming techniques that are specific to the place… You will stop halfway in Ambatolampy. This village, located in the foothills of the Ankaratra, is famous for its factories of aluminum cookware. After the visit, you will continue to Antsirabe. Dinner and overnight stay at your hotel. In the morning, visit Antsirabe and its history. Famous for its thermal springs, the city economically burst at the arrival of the Norwegian missionaries who developed some pastures thanks to the fresh altitude climate. The French developed a thermal complex along the Ranomafana lake, where the buildings can still be seen. Visit the local art craft: semi-precious stone cutting, embroidery and traditional sweets factory. Continue to Ambositra, famous mainly for the master woodcarvers and furniture manufacturing. The Zafimaniry Capital is a veritable work of art, with shutters and walls carved in geometric designs. After spare lunch, you will drive to Ranomafana. 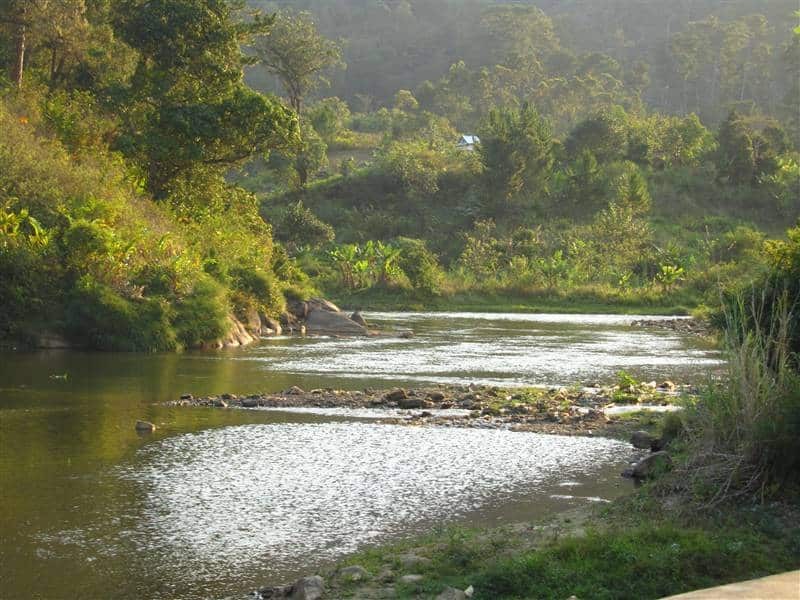 This pleasant resort offers an open air museum sheltering various wildlife and endemic plants. Like Antsirabe, Ranomafana offers the opportunity to enjoy a thermal bath. Get settled at the hotel. Enjoy a full-day visit in Ranomafana National Park. This park is located on a rain forested uphill that lies at an altitude of 800 to 1,200 meters. 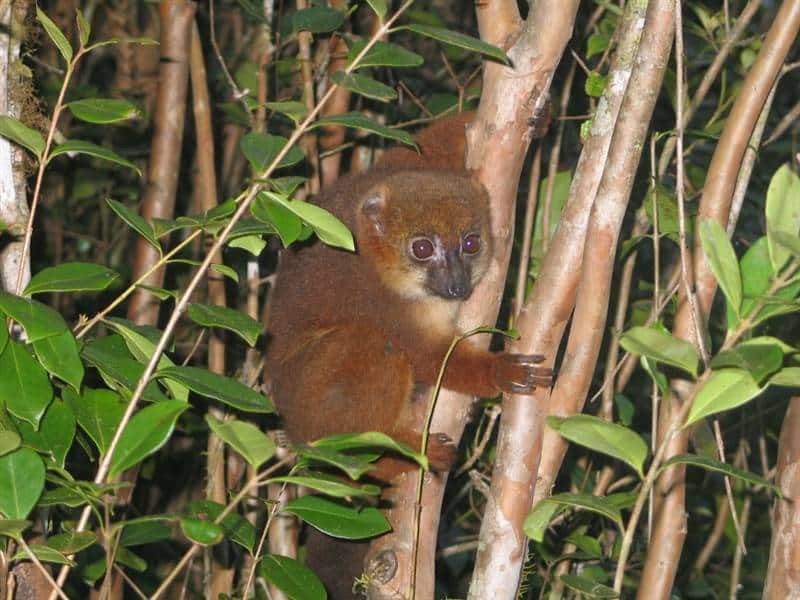 Ranomafana national park was created in 1990 after the discovery of the “golden bamboo lemur” in 1986 (its scientific name is Hapalemur Aureus). This particular and amazing species of lemur has strange eating habits and can’t be seen anywhere else. And 62 species of reptiles, chameleons, lizards. After breakfast, you will hit the road towards Sahambavy and, enjoy a walk in the tea plantations next to the lake and a hotel. 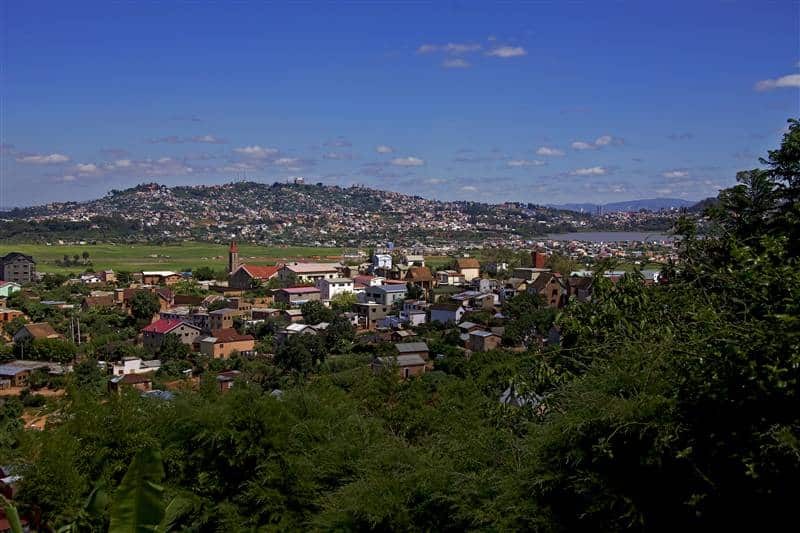 Get driven to Fianarantsoa in the afternoon and get settled at your hotel. Leave Fianarantsoa to go to Ambalavao. Enjoy the magnificent scenery of terrace-rice fields and vineyard. Stop at Anja’s Reserve, a dry forest located at the foot of an enormous granitic dome, for the discovery of the « Ring Tailed Lemur ». It is a 2h30 ride. 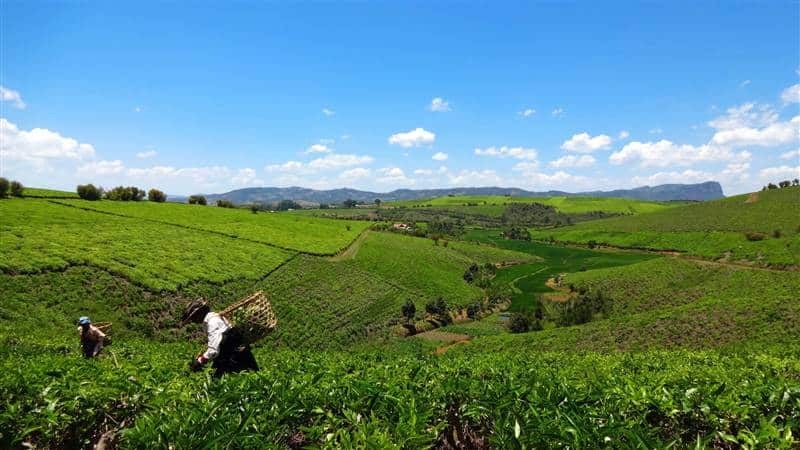 You will then head to Ranohira through the grassy savannah plateau of Ihorombe. You are right in the heart of the Bara territory. Here, the Zebu regulates men’s life. People refer to it as the “Zebus’ civilization”. 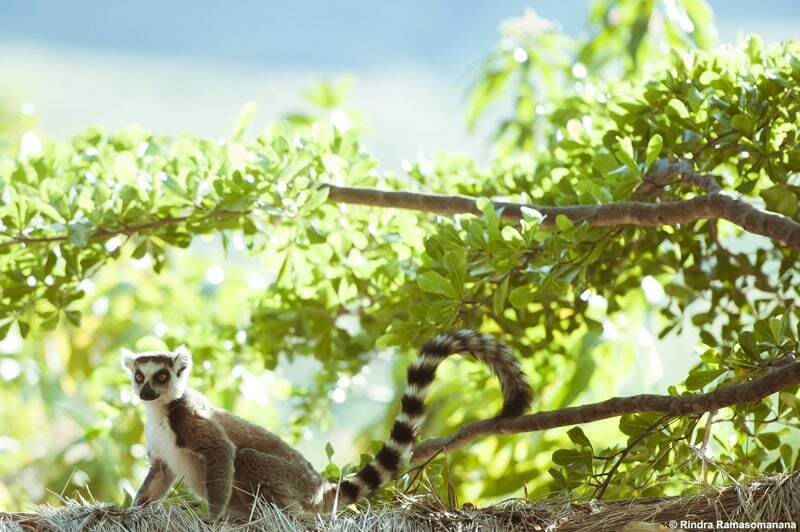 Enjoy the two whole-days discovery of the second biggest national park of Madagascar. 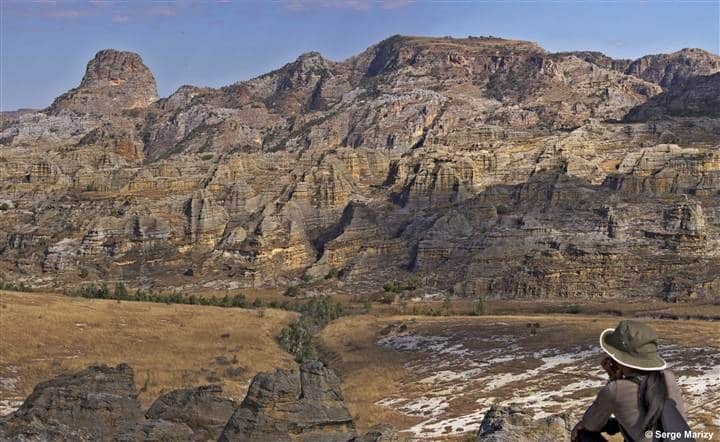 The massif of Isalo, the oldest geological formation of Madagascar, is made up of sandstone massif ruiniform of the 1stJurassic era. The animals of Isalo are typical of the climate, the vegetation and the park’s geomorphology. Most of them are endemic species. There are 77 species of birds living at Isalo. Among them, we can quote the Benson’s blackbird or Pseudocosyphus bensoni, an endemic species of Madagascar which is much protected. There are also 14 species of diurnal and nocturnal lemurs, 8 of which have been introduced to Madagascar, and 7 are endemic to the country. Reptiles, amphibians, carnivorous, insectivorous and rodents complete the list. Drive then to the foot of the massif of Isalo to discover the park on foot. Different possible visits on the spot: the natural swimming pool, the Canyons, the Nymph waterfalls or the Namaza forest. Depending on your hotel and your needs, it is possible to organize bicycle and horse rides. You can also enjoy the SPA of your hotel. Early in the morning, about 4 hours drive with stops. We head south to Toliara, a city located on a broad coastal plain, surrounded by dunes and mangroves near the Tropic of Capricorn in the Mozambique Channel. Enjoy the first glimpses of baobabs rising majestically in the middle of the savannah and the magnificent Antandroy and Mahafaly tombs. Continuation north to the amazing coast of Tsiandamba or Ambatomilo. Get settled at your lodge for 3 nights. Free day at leisure on the beach. 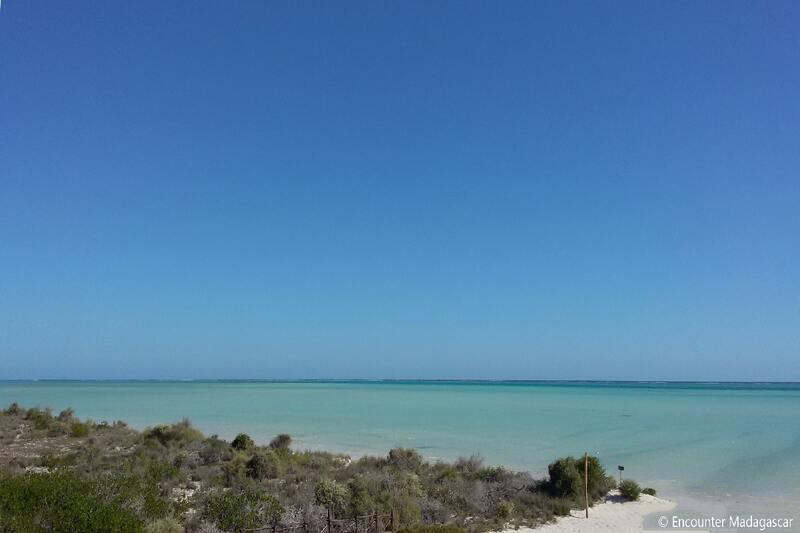 Early in the morning, transfer to Toliara then transferred and free afternoon at your hotel. 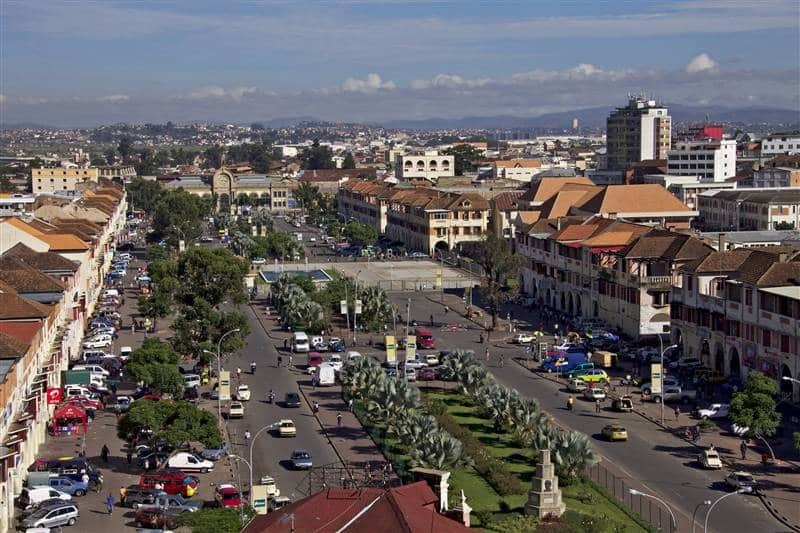 Transfer to the airport and flight back to Antananarivo (depending on the flight availability and schedules). At your arrival, you will be met and driven to your hotel. Meet locals in these colorful markets along the RN7 or in the rice fields. Watching the Golden Bamboo Lemur in Ranomafana rainforest. 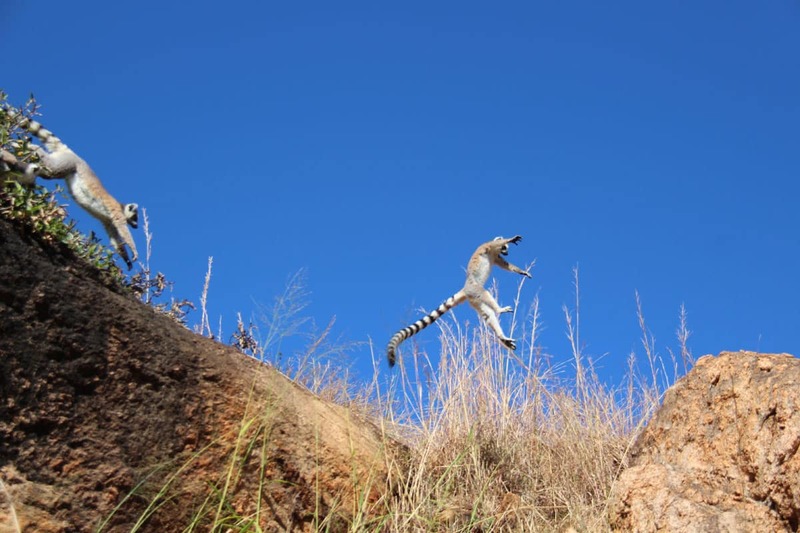 Hiking inside the incredible canyons of Isalo National Park and discovering its typical wildlife. Relaxing on the idyllic beaches of Tsiandamba or Ambatomilo. The tour crosses the whole "RN7", an easy and soft journey but it shows you great glimpses of Madagascar. From the capital city, we drive down to Antsirabe, Ranomafana National Park, a fantastic rainforest, then continue to the Isalo sacred mountain, this spectacular sandstone massif. We stay there for 3 nights to discover the park in depth. The trip ends in South West part, known for its exceptional and magical white sandy beaches, emerald lagoon, coral reefs and marine life. Discover Madagascar in one tour: Asian rice paddies, fantastic rainforest, spectacular sandstone massif, emerald lagoon.